Ingrid is the CEO(Consulting) and Co-Founder of Quick Left, a web development and consulting firm with offices in Boulder, Portland and San Francisco. She taught me everything I know about the industry as I worked for her as an apprentice developer and eventually, director of marketing for the first two years of my career. So, you’re a Boulder native? I am a Boulder native! It’s been really fun being able to grow a business right here where I am from. I of course left for a while, you have to do your obligatory leave, but I was really excited when I got the chance to come back. None of the tech startup community that we have now was here when I left, so it was really cool to come back and see all of these new opportunities to start tech businesses and be involved in a growing creative community. What did you do while you were in San Diego? I graduated from CU with a double major in Philosophy and Women’s Studies and during that time I was sure that I was going to figure out something to do with my life, but I wasn’t quite sure what yet, so I did what people used to do back then. Nowadays, they start businesses, but back then they would go to grad school. So, I went to SDSU, which actually has the first Women’s Studies Master’s Degree program in the United States. My focus was gender and technology. I had this professor who became my thesis chair, Pat Huckle, who had us all do a web portfolio class. We had to design a website featuring us and our resume, and I was just immediately hooked. The overwhelming part about studying bigger social issues of race, class, and gender, is that these are huge problems that couldn’t be solved very quickly, or maybe even within your lifetime. Being able to write some code on a computer and see the results immediately, something about that really balanced out the needs I had during my education. I added a self directed minor in Computer Science. It did take me a little while longer to finish my Master’s Degree, and of course I was also working in the computer lab doing hands on instruction. I was teaching an Access class and helping students with Pine, which was a Unix based email client. Yahoo was just coming out at the time. It wasn’t that long ago, but it does make me sound like a dinosaur! People joke that my current Yahoo address doesn’t make me uncool, it makes me retro. I have had the handle “Electromute” since I was an undergrad at CU. I was logging in with a 2400 baud modem to a chat board called “Mountain Raves”, trying to think of a cool electro-name, and that is what I came up with. I don’t think my site Electromute.com ever went bad the way that my 90s arm-band tattoo did. The last time I edited that site was in 2009. Every time I go to fix my site, there is a WordPress update to do, so my little window of time is spent updating WordPress, and not actually writing. Not to mention that writing is something I struggle with. Going back to San Diego, I had a hard time with my Master’s thesis, because it writing doesn’t come easily to me. 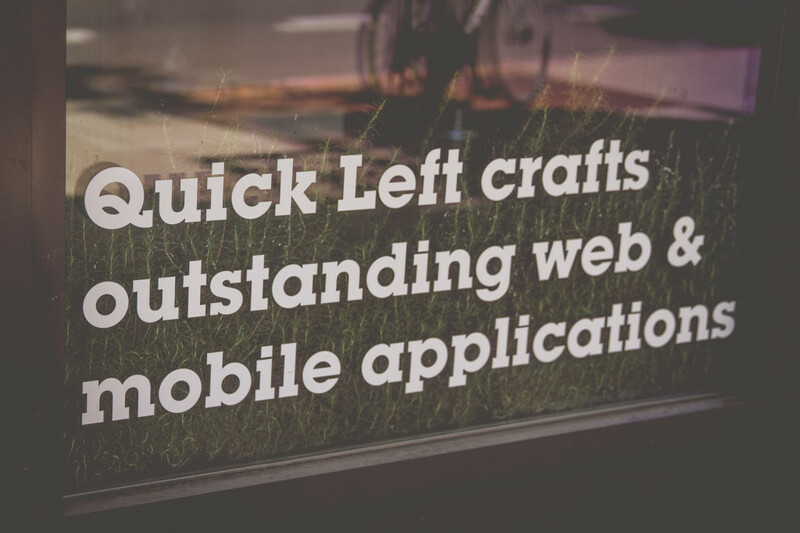 Even today on the Quick Left blog, you will see very few posts by me. What is your day to day like, now that Quick Left has grown so much? You know it’s funny because part of me has this image in my head that my role will shift into this imaginary kind of CEO role, but it never gets there! I have to remind myself – that is what I am doing. One thing that I am doing a lot more of now, are speaking engagements, and talking a lot about women in technology. I never thought I’d actually be able to speak about these issues in this industry. I am managing a lot of different kinds of people, which is new for me. I have a lot of experience managing engineers and running a dev team, but I am realizing now that non-engineers may see a process differently. My job is more about communication now, than it used to be. What are some of the things that kept you up at night when Quick Left was just getting started and how are they different now? Some of the things are the same. Cash flow, being a non-venture backed company, and the ship only gets bigger. So, I remember one time when we were trying to make payroll, we got this $11,000 check in the mail and I walked right over to Wells Fargo and deposited it. It is still that same feeling, but at a larger scale. The risks have gone up, but my ability to manage that risk has also gotten better. I am not as worried about money issues as I was when we started and I feel more confident that I have the right team around me. The things that keep me up at night now are more about optimizing and getting better, rather than just surviving, and that is a really good feeling. What are things you’ve done to stay sane and not freak out? Not always successful.. Sometimes you just have to fake it! For me, making commitments to other people is a real motivator. The way I do that is by joining a women’s cycling team, signing up for races, and having a coach. Just being accountable to people. So figuring out a good motivator for you is really key to finding that balance. Do you need someone else to get you out of the house? What is your trigger? This year I have taken a break from racing as we merged with Sprint.ly. Now we have offices in Portland and San Francisco. I have been traveling more. I really just want to enjoy hanging out with other teams and not feel like I have to leave at 5 o’clock to ride my bike. What have you been surprised by team growing a team from 4 to 40? The biggest surprise is how the people and the company can outgrow each other. Part of me was hoping that we could all be one big happy family, but the company we started was a lot different than the company that we are now. Over the years we have cycled through a few different groups of people as we have grown and changed. How do you think about company vision? It is hard to have a clear vision when you are still getting a lay of the land. When a company is really young, I think it is important to have some shared core values. For instance, ours was creating good engineering products, but I did resist the notion of having a prescriptive vision. Now that we have grown a larger and have a better idea of what our sweet spot is, it is a little easier and also more realistic. Some of our vision statements when we were younger had buzzwords, and seemed cool, but they didn’t quite fit who we were. The tension when you are starting out with a vision and a mission statement is real and might take time to get there. Don’t feel pressure to have your 100% vision early. You can have guiding themes. You can have bumpers on the sides. That was something that I really struggled with – feeling like I had to have the map. You’re not going to have the map! Because, you know, having a map is great. But when you have a map and you are going somewhere, you actually miss some of the side roads and scenery along the way. If you have an open mind to some of the opportunities that come up, for instance our merger with Sprint.ly was not something that we were looking for, but if we had a rigid goal, we might have missed such a great opportunity to grow. What about the tech scene in Boulder? It has been exploding! Didn’t we used to have our hackfest once a week? Now, there are so many great events happening in the community, that we have our hackfest once a quarter. You can literally not buy dinner and beer every day of the week, because there are so many great events. It is great to see a small hippie town really put themselves on the map. What was your childhood like growing up in Boulder? That is a great question! People don’t generally ask me anything like that. They always ask me about my career. Growing up here was fun. I went to foothills elementary when I was a kid, but I moved around a lot, because my parents got divorced. Back in those days you could walk to school, so my brother and I would always do that. We got to really learn how to be responsible on our own and think independently. My dad started bike racing when I was 7 or 8. So we used to go with him to his races and watch. They were so cool! One day, we were walking downtown with my Dad – and I think he did this on purpose.. There were kids racing downtown. We were just like what!? Kids can race? So, that Christmas we got these terrible, heavy, kids bikes with 24 inch wheels, matching bikes, and we were off to the races. I was 12, my brother was 11, and we did the Denver Mini-Classic. I had one of those Bell helmets with the white hard shell and the red reflective strips. We didn’t have a lot of money, so I kind of scrounged things togethers. For my glasses, you know those big ones you get after you go to the eye doctor? Those are what I wore! I got second to last. I don’t know why I didn’t give up after getting second to last. I just loved being able to go fast and get outside. Also, the social side of it was really conducive to me. You get to talk about the cool move you made.. That excitement about recapping the race with your friends. It is just really fun. It was also neat, because as I moved around between different schools, there was always the same group of people that I raced with every summer. Do you have any advice for someone starting their career? When I started, I felt like I had to go to every event. While that is a great goal, it is really important to find out what fits you for the long term. I also think it is important to know what your competition is doing, but you have to stay focused on you own values and goals, because you can get distracted by constantly trying to keep up. There may be enough room for lots of different people in the space, so the distraction might not be worth it. Try to create balance in your life, whether it is getting together with friends and family on the weekends, or going out and hiking. Make some time to regroup and relax. Of course, having a good community around you, people with shared core values. How do you get away for a hike without feeling guilty about missing work? I used to have a hard time going to lunch, because I had so much work to do, and I still have a hard time going to lunch. Now I read articles or sit with other co-workers during lunch. It has gotten easier, because I have realized that the pace will never lighten up. I sleep well at night, I don’t stay up past 10. I just don’t like lunch! Depending on what I eat, I feel tired after lunch. Who are some local people or projects that you are inspired by? You know, one of the people that I really admire in town is Nicole Glaros at Techstars. The thing that inspires me about her, is that she takes time for herself and her family. She has two kids and her exercise routine, yet she is really organized and has a ton of energy. 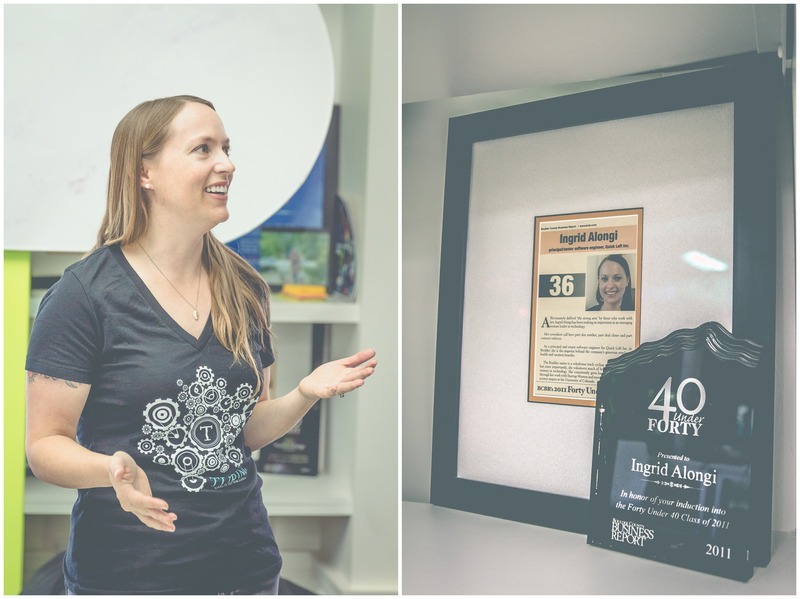 She has been able to keep the momentum going at Techstars and take it up a notch. That is a huge accomplishment. She is definitely one of the hardest working most balanced people I’ve ever met. Any startups that you are curious about? We are doing a home automation hackfest with a company called Chui. They were in Boomtown Accelerator. That is fascinating. There is another startup I mentor with at Techstars that is doing a hardware based application called Loop. What else are you looking forward to personally? I am really looking forward to growing our consultancy in San Francisco and Portland. I am also looking forward to getting Sprint.ly to the next level. We have really been focusing on the consulting business this year. The consulting business is funding the product. We are kind of in a great place, so I am really looking forward to putting a lot of attention and energy into product.